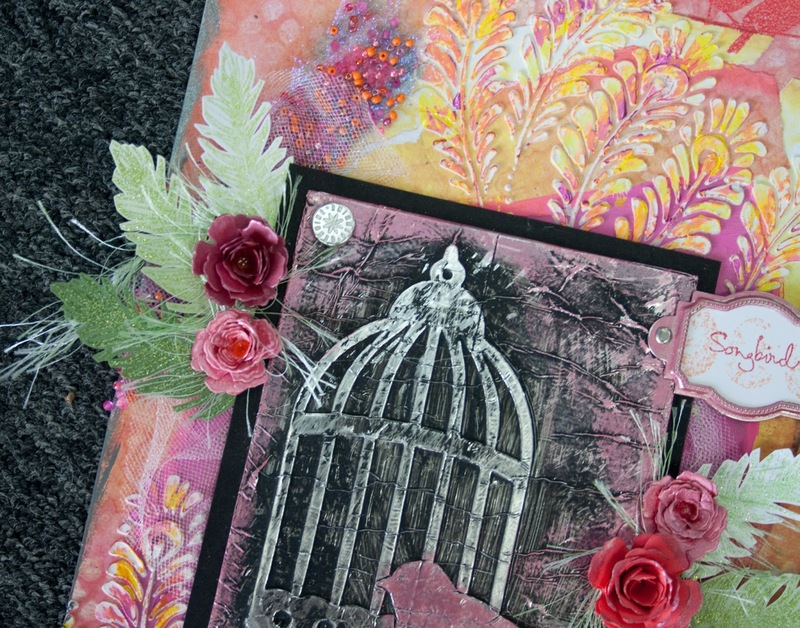 I had so much fun making this mixed media panel! It was a challenge on Splitcoast to use foil tape, but since I didn't have any I used 2 1/2 Tear-ific Tape and aluminum foil. 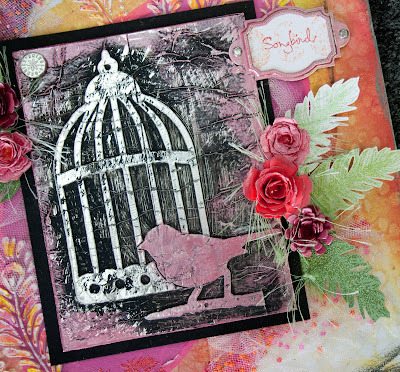 I die cut the chipboard with the bird and cage from Tim Holtz, then I covered it with the tape, then with foil. I ran it through the Cuttlebug with the rubber tanning mat to press it down well, then painted it with black acrylic paint. 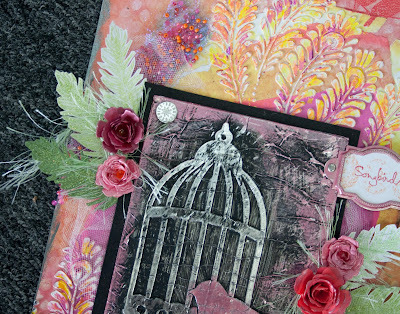 After that dried I sanded off some of the black, the pink edging was done with the Rose Inca Gold, I layered the panel on a piece of black cardstock. The flowers are from Spellbinders Bitty Blossoms and for the leaves I used the feather from Bird Song stamp set and embossed with Spring Willow and hand cut them out. I even inked the fun fur with the Yellow Green Inca Gold. 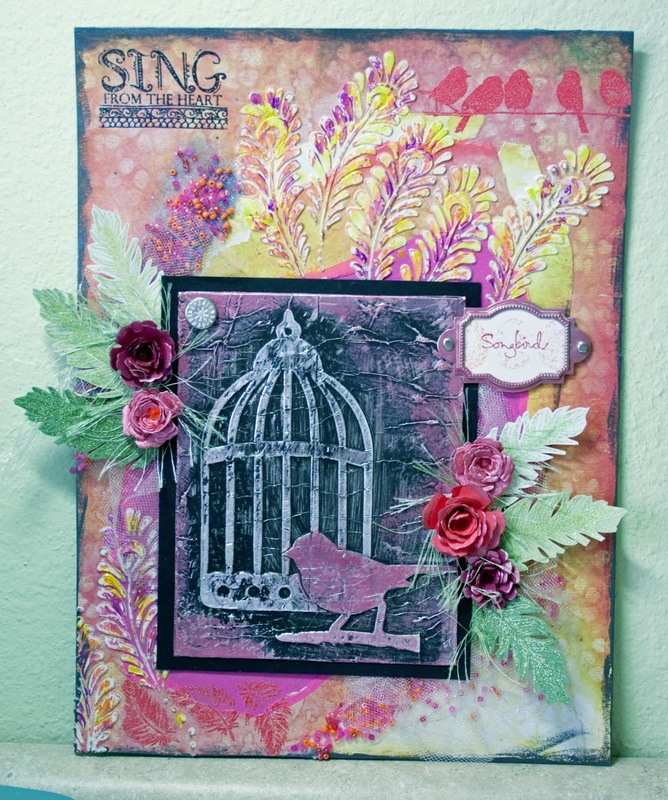 For the background I used a scrap piece of paper and used stencils and molding paste. To color it I added the Dandelion & Hydrangea Liquid Pearls. 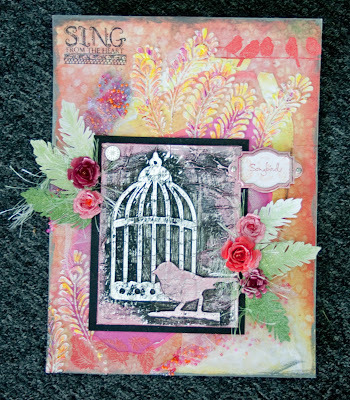 The birds are from the stamp set Bird Song and embossed with Cayenne EP. 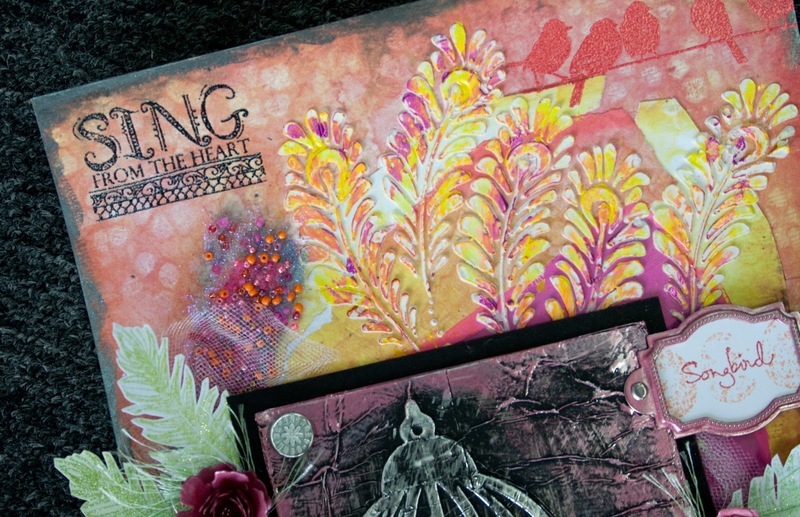 The Sing from the Heart is from the Zendoodle Rainbow and embossed with Outer Space EP. The microbeads are adhered with Gel Medium. 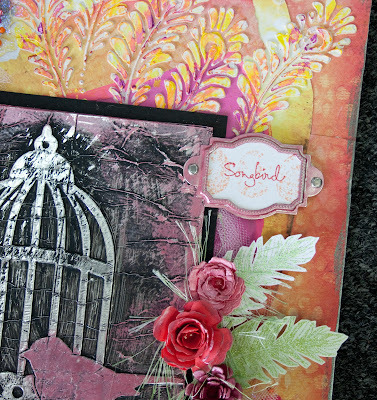 I also added some toile behind the feathers. 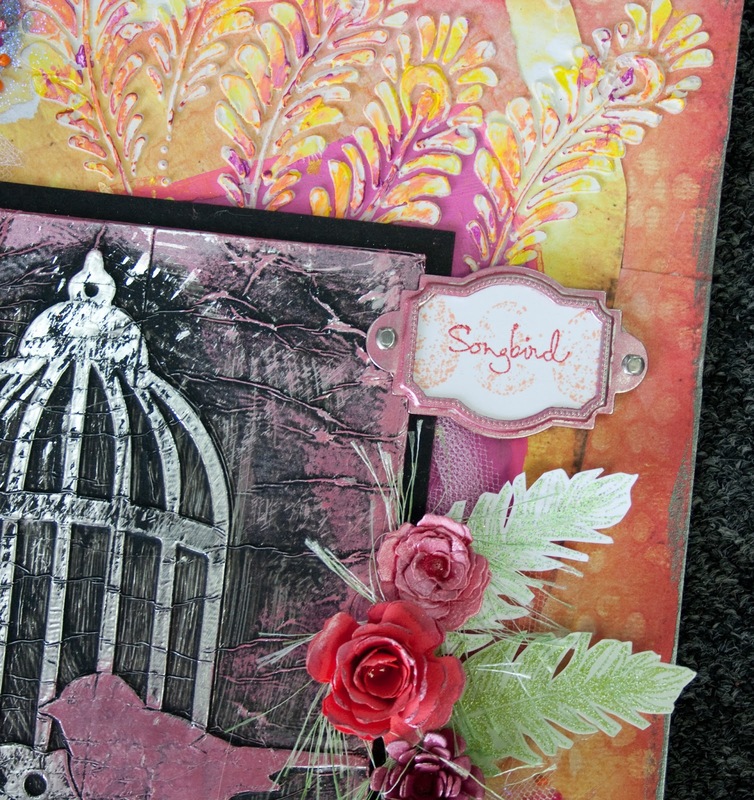 Loved making all the details to this panel!